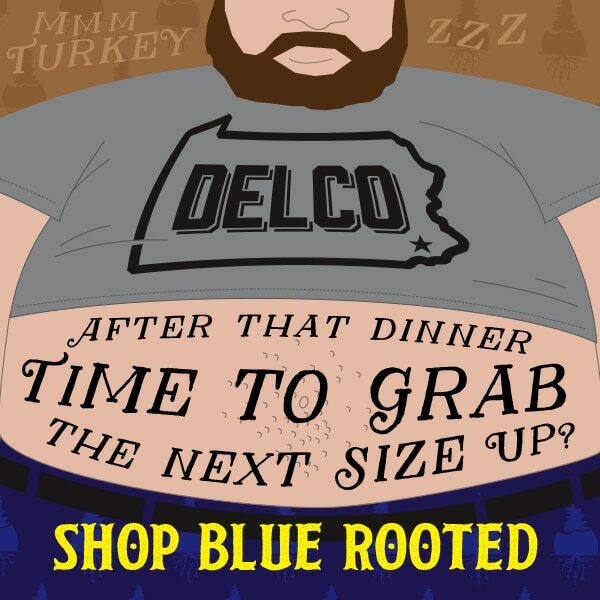 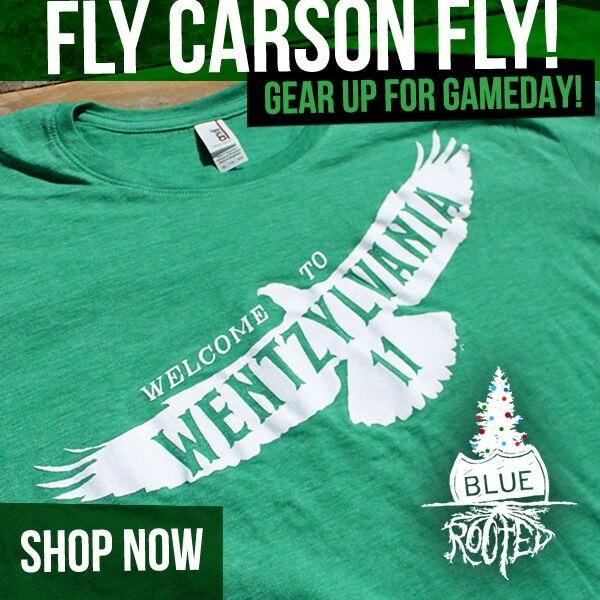 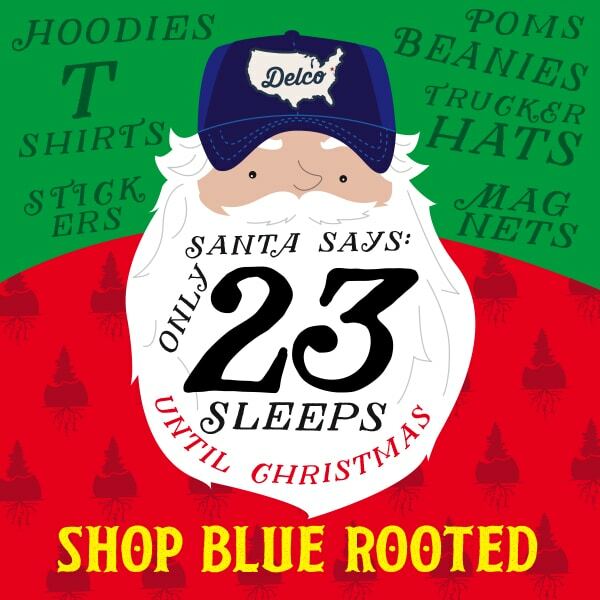 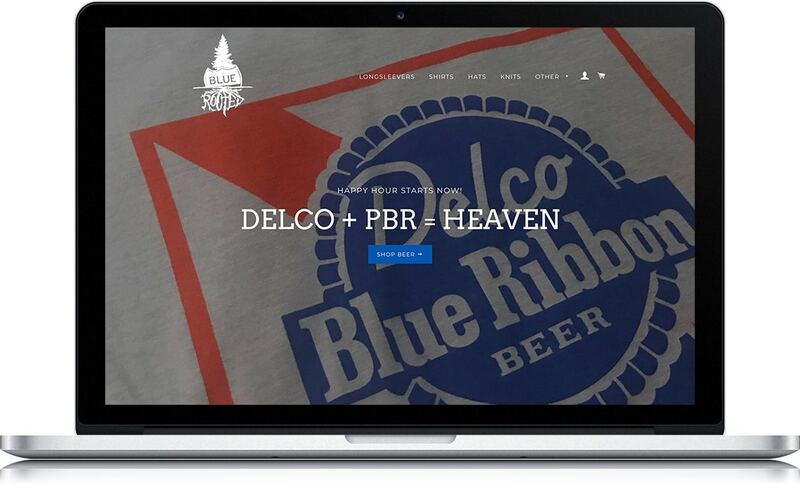 BlueRooted was an idea that we had 3 years ago to bring quality apparel to DELCO, the greatest county in the world. 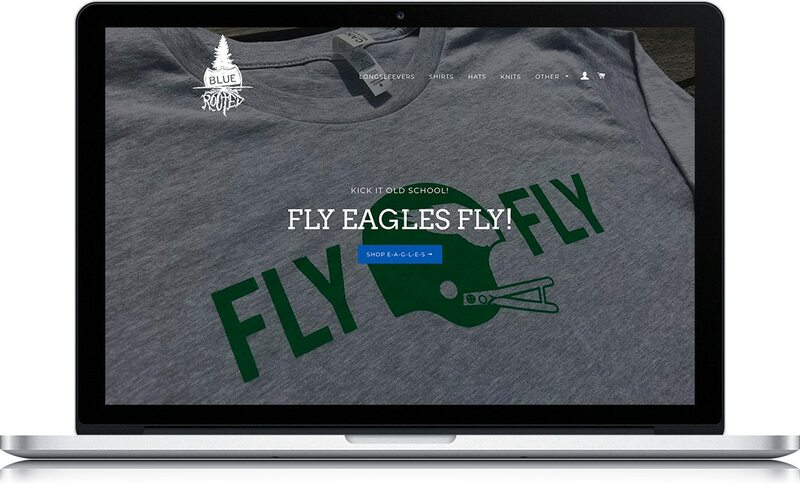 We felt like there was an untapped market that would want to proudly display their hometown pride. 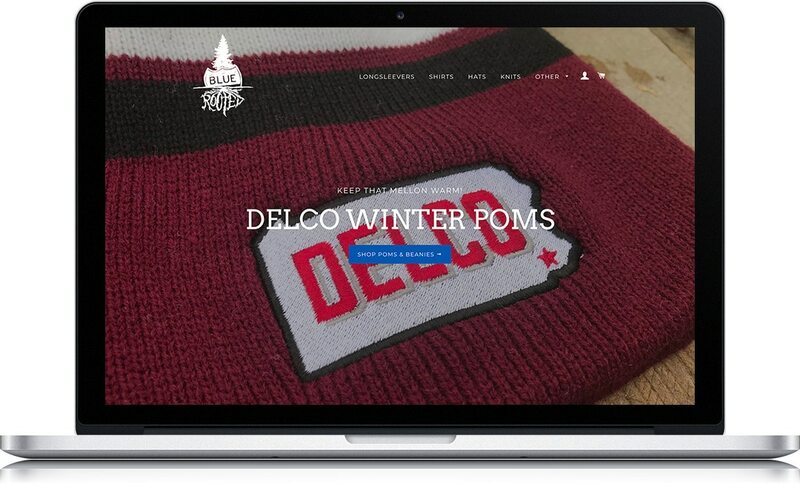 It started with a hat and t shirt and has taken off from there with sales increasing year over year through a grassroots marketing initiative. 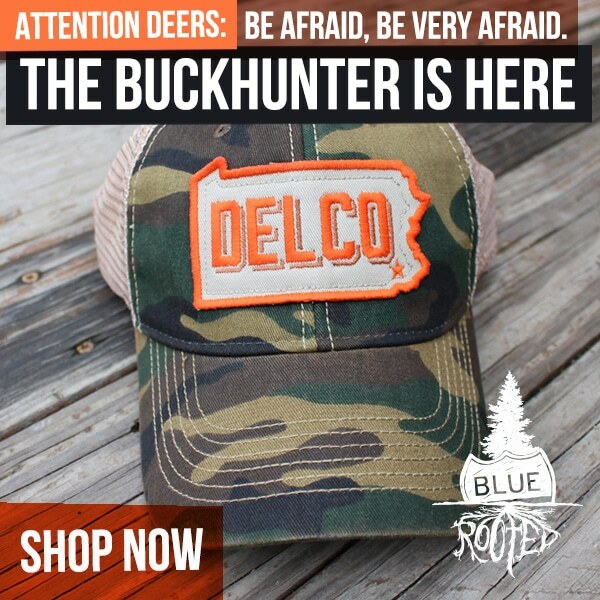 We launch new products on Facebook and Instagram exclusively sold through our e-commerce site with no retail storefront. 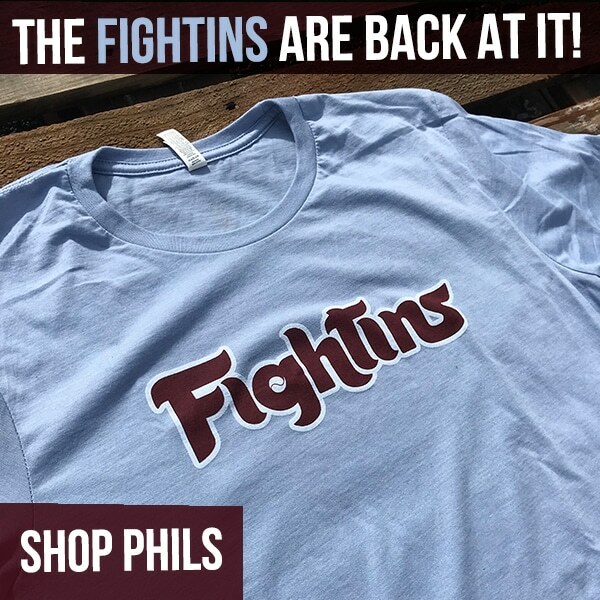 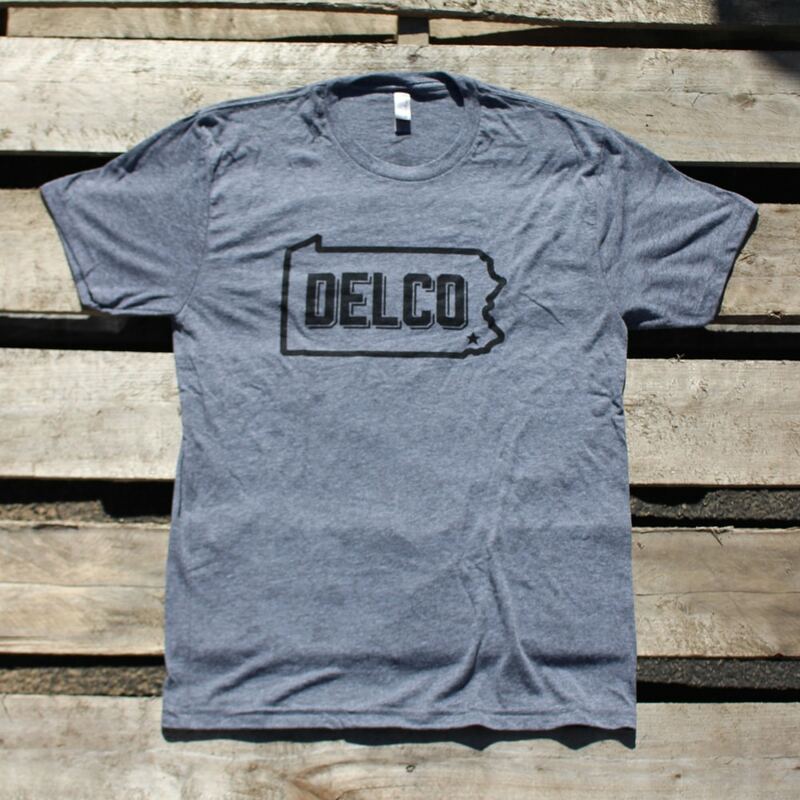 If you’ve got a friend that lives in DELCO they probably have seen our stuff and if they haven’t spread the word! 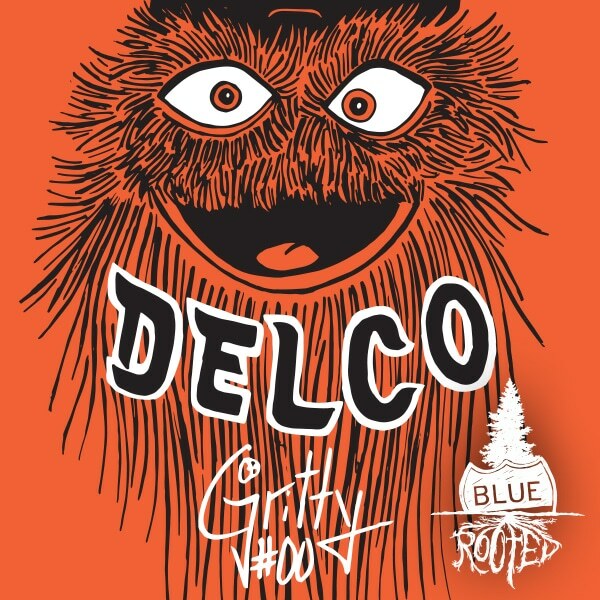 The BlueRooted logo. 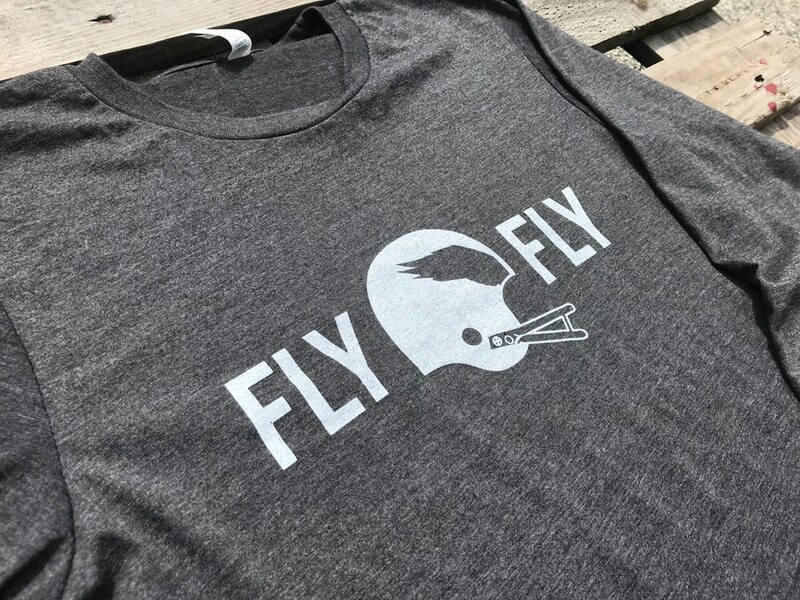 Super-simple and telegraphic. 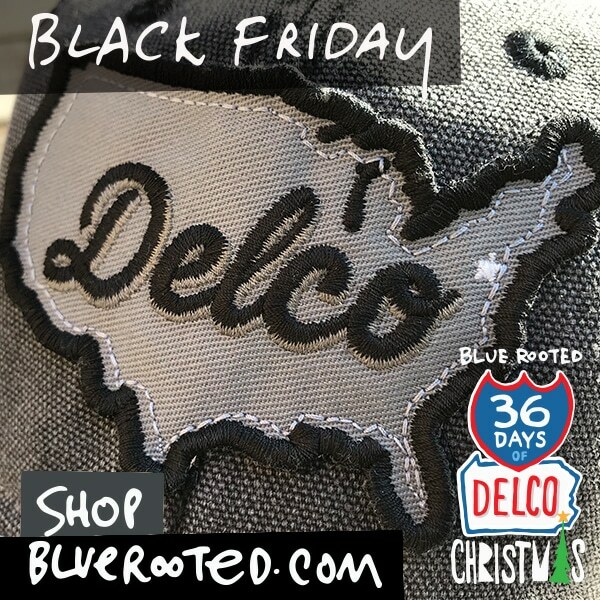 The name comes from the nickname of Interstate 476 which cuts through the heart of Delaware County (DELCO). 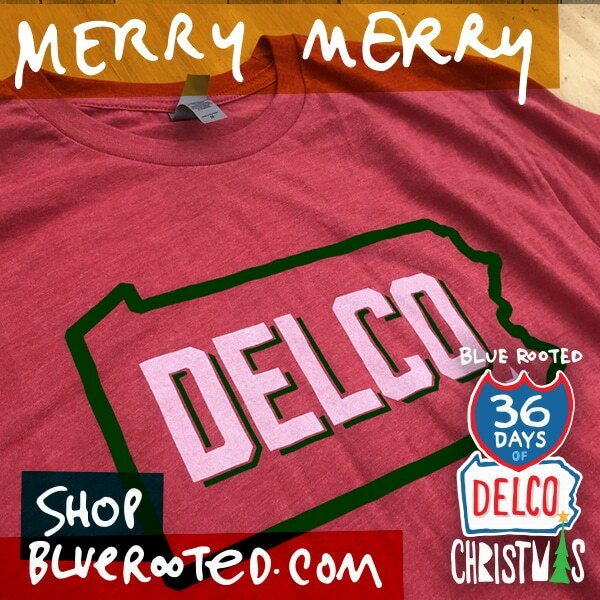 The logo features a road sign, hemlock (PA State tree) and the tree roots. 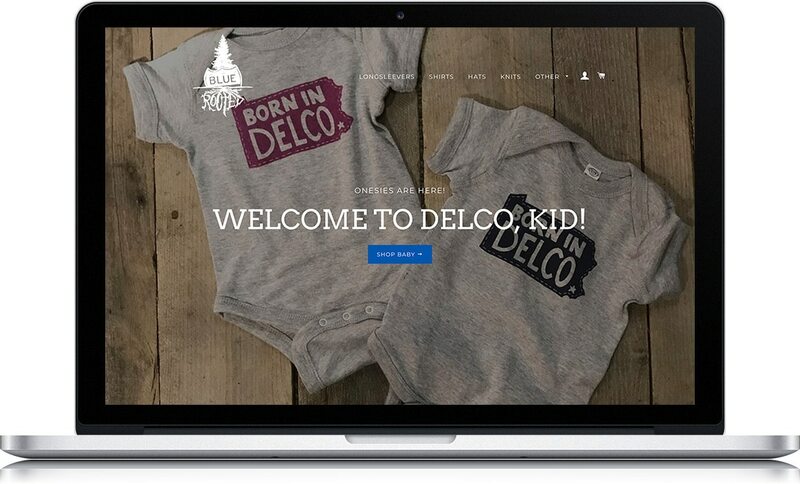 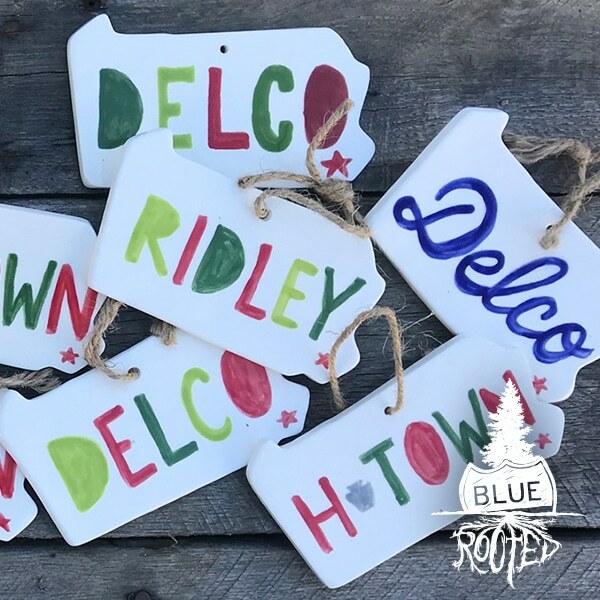 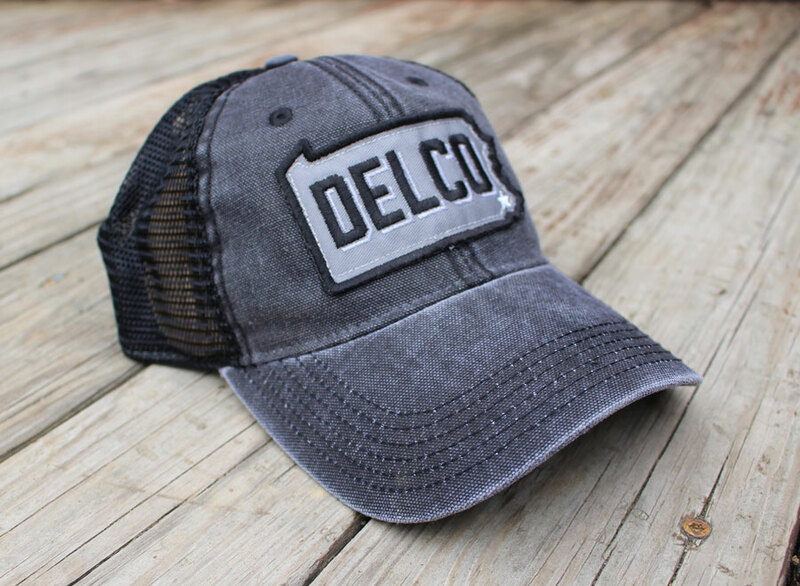 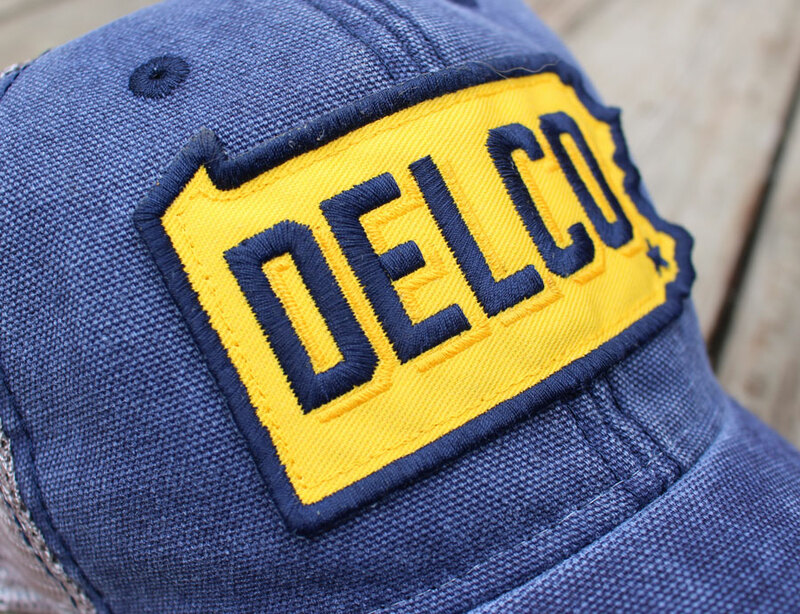 It captures the notion that no one leaves DELCO… most of the population was born here and wouldn’t live anywhere else!